Choose a position on the door for the lock. Install the deadbolt lock about 44 inches above the bottom of the door. You’ll have to adjust the position a bit if you have a combination storm door so as not to interfere with the storm doorknob or lock. Affix the template to the door. 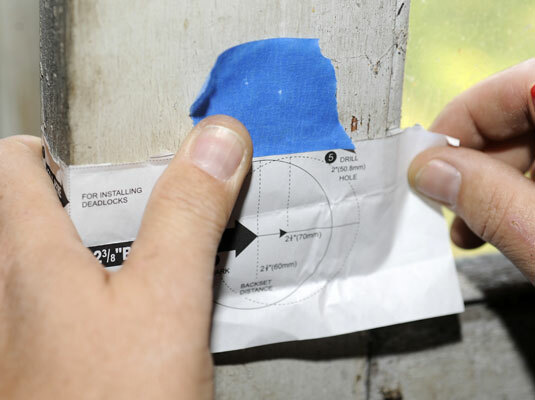 Use masking tape to affix the template at the proper position. Mark the center of the holes for both the lock cylinder and latchbolt. 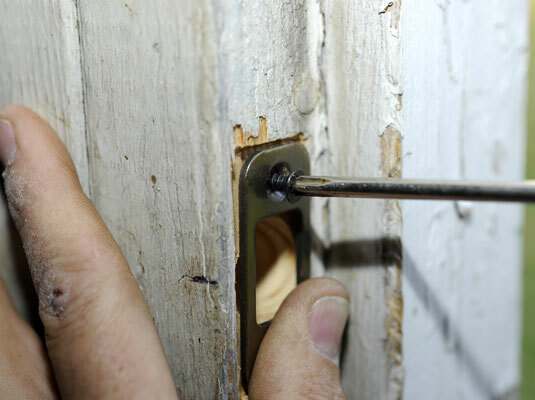 Use a sharp point to mark the centers of the two hole positions for the lock cylinder (through the face of the door) and the latchbolt (into the edge of the door). Bore the hole for the lock cylinder. 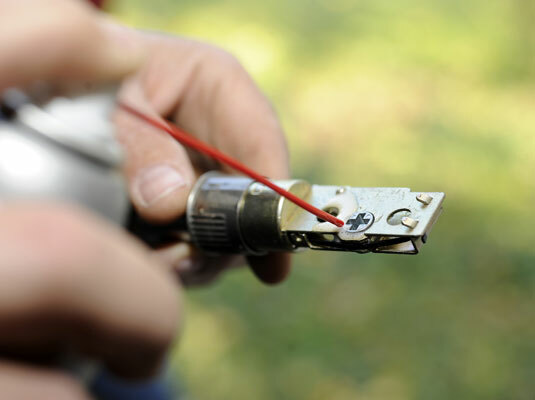 Some kits include a hole saw that attaches to a standard drill. Align the center pilot bit of the saw with the marked point of the face of the door and drill through. 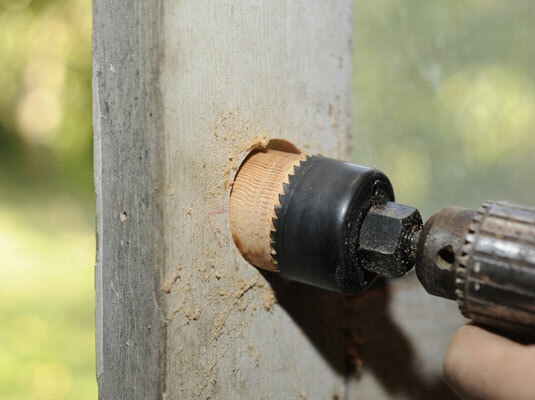 Use a 1-inch spade bit attached to your drill to cut a perfectly round hole into the wood. Cut a latchbolt mortise in the edge of the door. 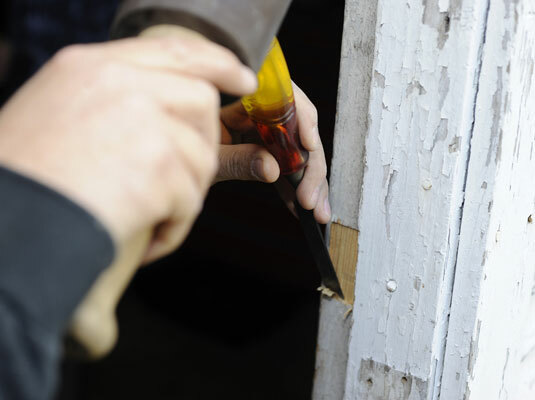 Use a sharp 1-inch chisel and a hammer to cut a recess that is 1/8 inch deep. Position the latchbolt faceplate flush with the edge of the door. 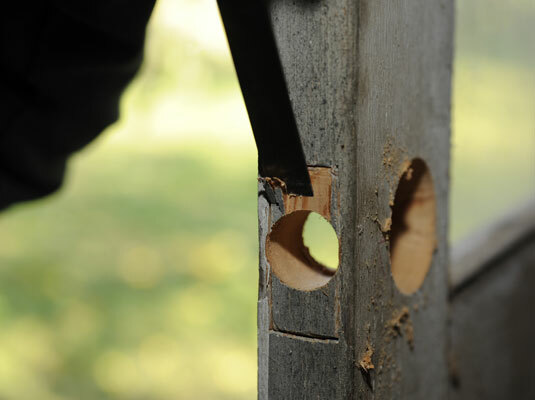 Remove any wood chips with the chisel blade until the faceplate is flush. Install the two mounting screws into the faceplate. 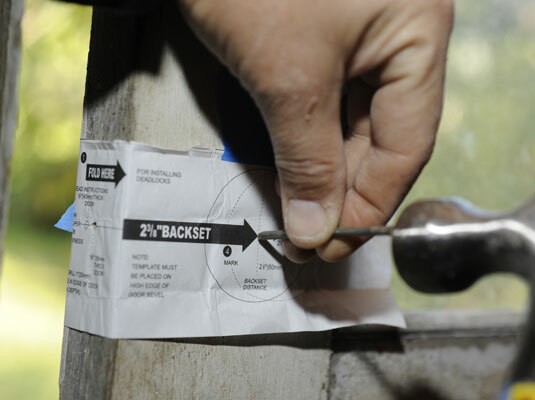 Hold the faceplate in place and use it as a template for installing the two mounting screws. 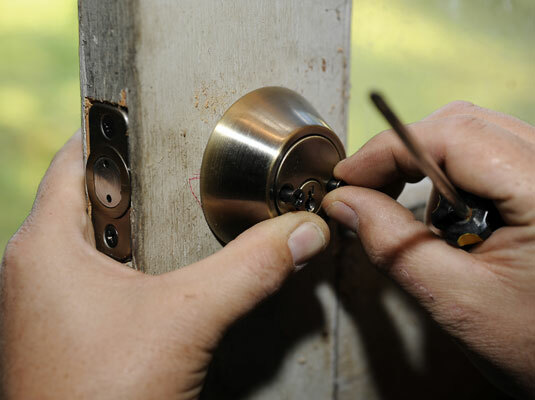 Apply a coating of lubricant to the lock's moving parts. 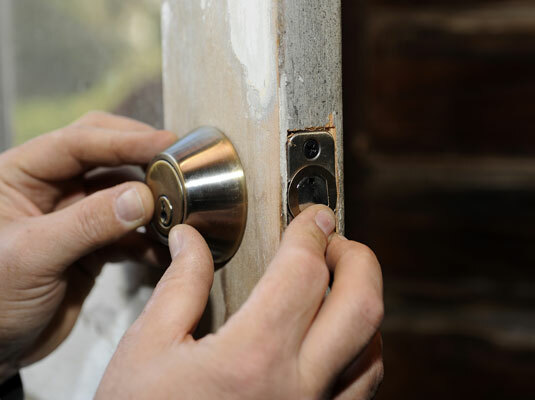 Spray a thin coating of lubricant to all the moving parts of the lock. 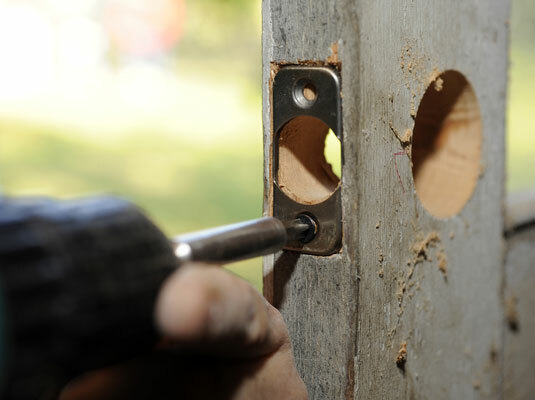 Insert the latchbolt and push the keyed portion of the lock through the hole in the latchbolt. Place the latchbolt in its hole and insert the keyed portion of the lock so that the tailpiece extends through the hole in the latchbolt. Fit the inside cylinder so that the holes for the screws line up with the exterior side. 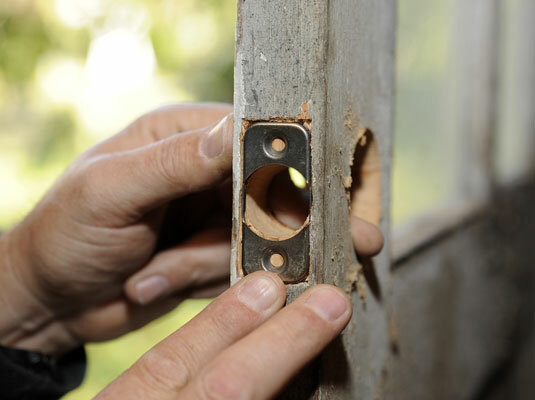 From the inside of the door, adjust the inside cylinder to line up the screw holes with the exterior portion of the lock. Secure the two sides of the lock together. Use the two retaining screws to hold the lock in place. Shut the door and mark the doorjamb where the latchbolt touches. 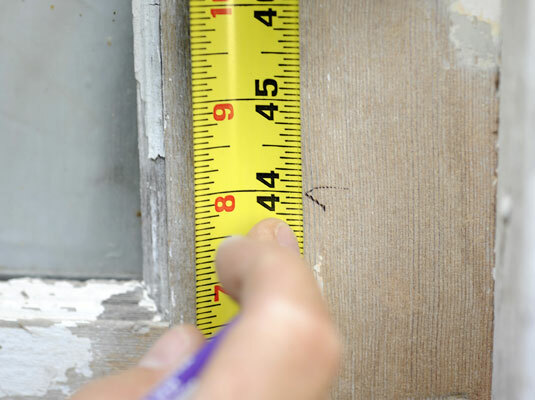 Use a pencil to mark the spot on the doorjamb where the latchbolt meets the jamb. Trace and cut a mortise on the doorjamb for the strike plate. Use the strike plate as a template and then trace and cut a mortise on the doorjamb with a sharp chisel. Bore a latchbolt hole in the center of the mortise. 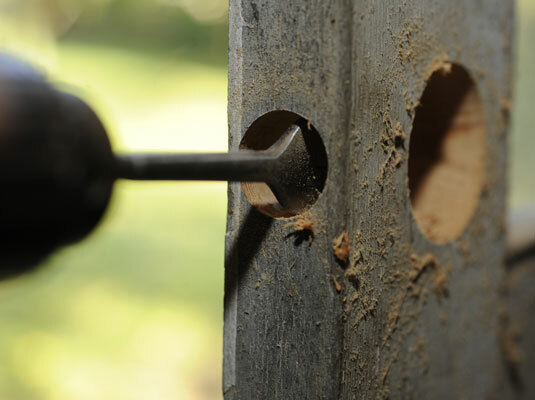 Use a spade bit to bore a hole in the center of the strike plate mortise for the latchbolt to enter. Install the strike plate using the screws provided. Close the door and test the lock. Shut the door and test the fit by operating the deadbolt lock. 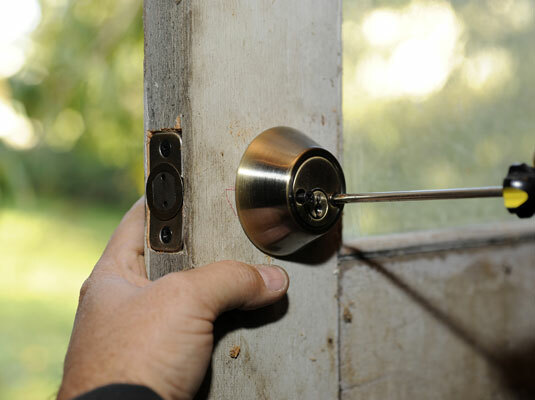 If necessary, loosen the screws and adjust the lock until the latchbolt passes easily into its hole.